Not long after I moved to Martinsburg, WV, a friend took me on a scenic trail, Maryland Heights. 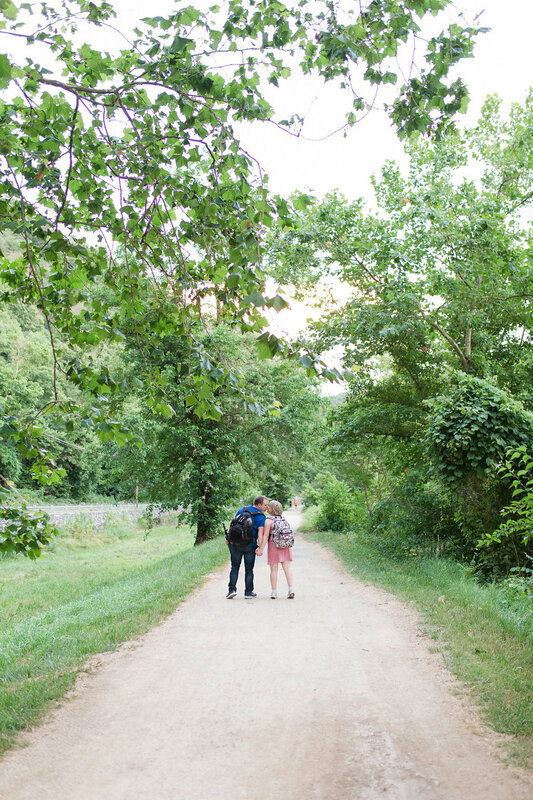 This old civil war trail hosted the first battle between the Union and Confederacy in Maryland, but offers a tremendous view of historic Harper's Ferry, WV, and the convergence of the Shenandoah and Potomac Rivers. 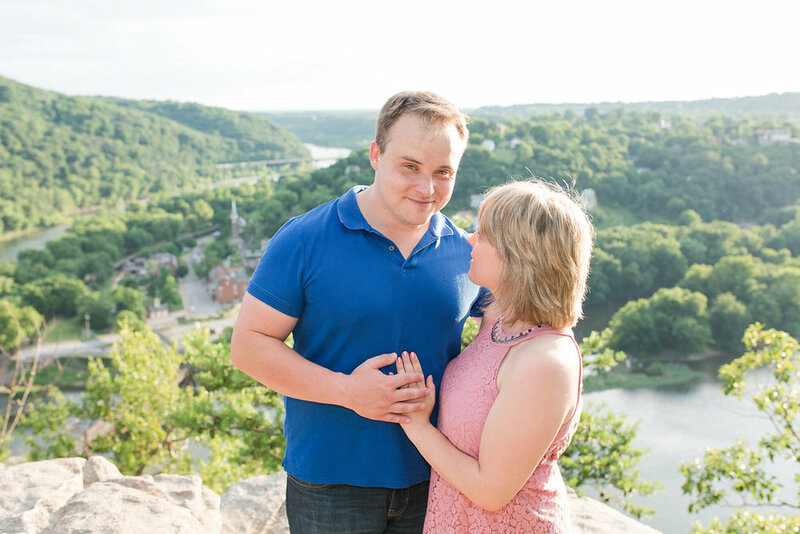 I've hiked the trail a handful of times and once I started wedding photography, I've always wanted to do a shoot featuring the outcrop. But its remote location made it a difficult sell! Enter Ashley and Dylan! Hurray for adventurous couples down to sweat! Haha! Ashley and I used to work together and so I knew she hailed from the Harper's Ferry area. 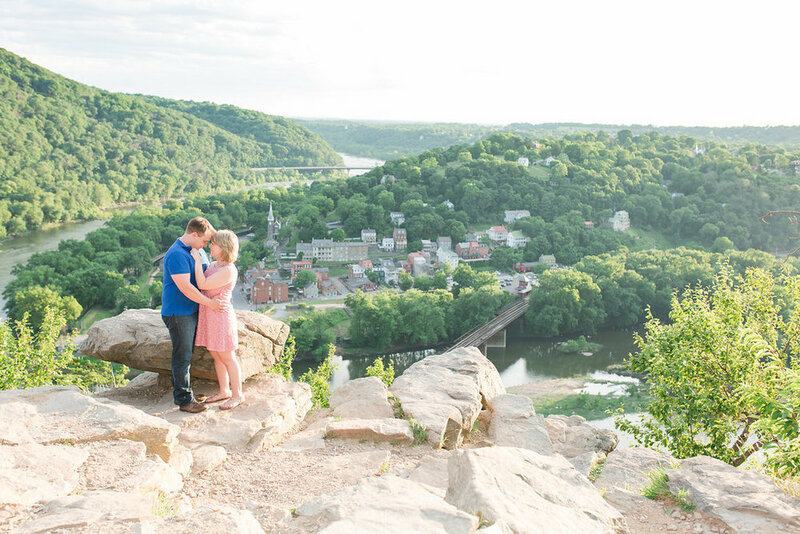 When she and Dylan got engaged, I started envisioning the two canoodling on the overlook. It just fit. I threw out the idea and fortunately, the pair accepted! Along the rugged path are historical markers detailing that soldiers carried heavy artillery up the mountain. Holy cow- I don't know how these guys did it. They must have been tough as nails. Guys- I am so out of shape that we had to take numerous stops. Plus, we did this shoot right at the beginning of my pregnancy (yup! we're expecting another Watson in February! Yay!) and so I had to be careful not to push it. Fortunately, the duo were very patient with me and chivalrous Dylan even carried my lightstand! Once we finally got to the top we had a spectacular view of Ashley's hometown, which made the shoot all the more special. The pair took turns changing their outfits behind a sheet away from other hikers. We didn't have long to shoot since the hike back to the car would take us past sunset and because we got a call that my kiddo was really sick. But Ashley and Dylan did beautifully in our short amount of time. (And my girl is happy and smiling again, thanks be to God!) 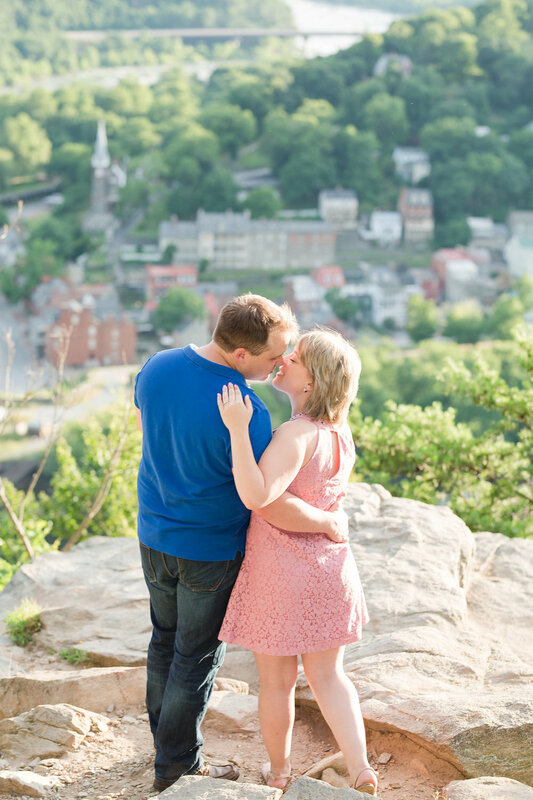 It's certainly challenging to pose on a rugged outcrop with the sun shining in your face- but the pair rocked it! I'm so grateful they were on for the challenge! During our hike, I got to hear all about Ashley and Dylan's love story and they were just so sweet to one another. I can't wait to see these two tie the knot in May of 2018. I just know it's going to be such a heartfelt ceremony and celebration! Thanks again, Ashley and Dylan for making this dream-shoot happen. You guys are the best and I can't wait for your wedding!